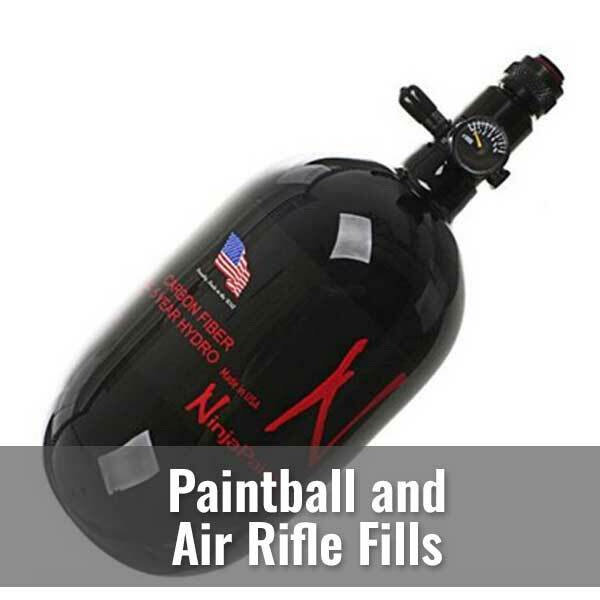 Quality air fills up to 4,000 psi for paintball, Air Soft and air rifle needs. Our air is tested quarterly and certified to the highest Compressed Gas Association CGA E, NFPA 1500 standards to meet air safety, quality and dryness standards. With our five bank storage system we provide AIR FILLS WHILE YOU WAIT. We also are the area’s only Nitrox facility, offering EAN 32%, EAN 36% or custom blends.